Even if you've played Pokémon Go non-stop for the last two weeks (and you know you have), it's still maddeningly easy to miss Poké Ball throws while walking. Hell, you probably still miss a few just while standing sometimes, right? 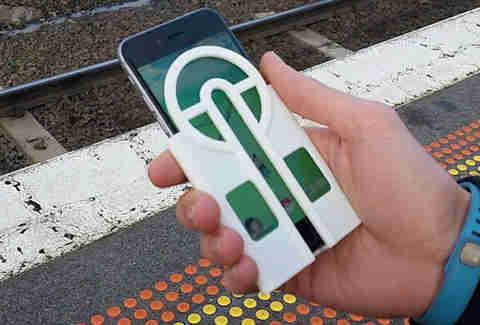 Well, if you're sick and tired of letting Squirtle slip away, someone's created a brilliant iPhone case that helpfully guides your Poké Ball-throwing finger for the perfect aim. 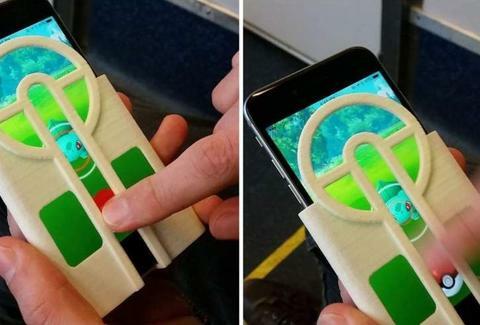 Now, you can have the aim of a seasoned Pokémon Master, thanks to a simple 3-D printable case created by a man named Jon Cleaver. Fittingly dubbed the "Pokeball Aimer," the case helps you avoid frustrating misses by restricting your upward swipes to a centered path on your screen. In other words, it'll be hard to mess up the next time you encounter a powerful Vaporeon in the wild, even while walking. Hell yes. Although the case currently isn't available in stores, Cleaver posted all the details and plans you need to print one on your own. That is, if you can get your hands on a 3-D printer capable of producing one. In the likely case that you can't, Cleaver is also offering pre-printed Pokeball Aimer cases on Etsy for a few bucks. There's also a chance he can build you a similar case if you don't have an iPhone 6. Of course, you might think using such a device constitutes cheating, but it can't be as bad as using the growing number of real-time Pokémon radar and map hacks, right? As Ash Ketchum once said of catching 'em all, "you gotta do what you gotta do." Or something like that. Tony Merevick is Cities News Editor at Thrillist and could really use one of these things, now that he's at level 21 and wasting countless Poké Balls on Rattatas and Pidgeys. Ugh. Send news tips to news@thrillist.com and follow him on Twitter @tonymerevick.